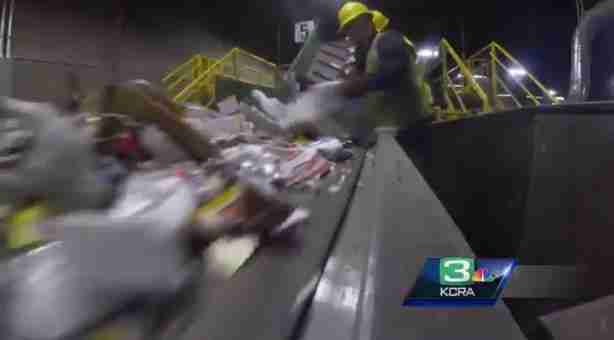 Tony Miranda wasn't sure what he saw wriggling on the conveyor belt at a California recycling center on Tuesday, but the waste worker pulled it off the line anyway, just moments before it would have fallen into an industrial compactor. "I pretty much just found it between all the debris and bags and just everything," Miranda told Sacramento news station KCRA. "I just grabbed it and immediately reported it to the line supervisor." "It" ended up being a tiny kitten that had somehow already survived a ride in a garbage truck before she was rescued from the compactor's spinning blades. After co-workers came to see what Miranda had found, shift lead Heather Garcia began playing with the kitten and decided to adopt her. 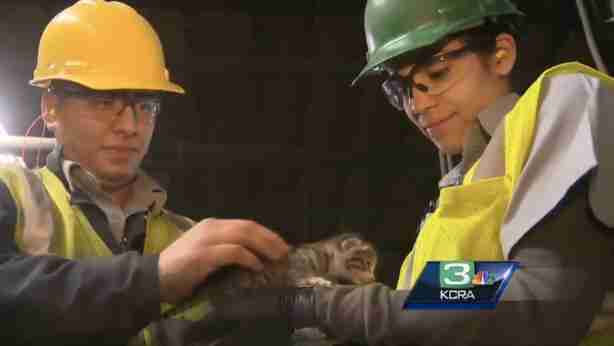 "I heard them say that they found a live cat, and I was curious cause, I mean that's just amazing," Garcia told KCRA. "It's just so cute, I mean why wouldn't you take it home." Garcia has even decided on a name: Murphy, after the recycling center (sometimes called "The Murph") where she was found. "We put so much material in here and we run so much stuff through it," said Miranda. "It's just amazing to see a little kitty survive through all this." 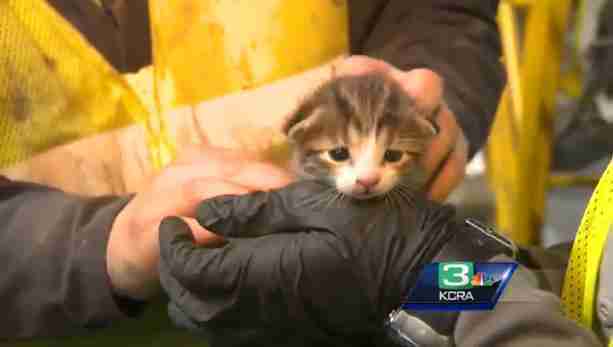 Watch KCRA's report below or click here to find a local shelter and save a life yourself.